There are tons of Smartphones online that are sold daily to the teeming tech-savvy smartphone lovers continent-wide. 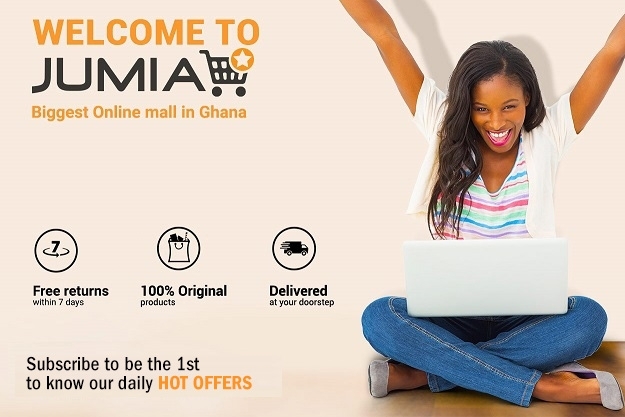 A variety of models, brands, operating systems, exciting features and capacities on smartphones are available on Jumia Ghana. Are you looking to buy new mobile phones of different models and brands like Blackberry, Samsung phones, Infinix and even latest brands like Innjoo Leap mobile phones? We have them in large stock here on Jumia. Buy the latest Tecno phones and see why they are very popular. If class and style are very important to you, buy the HTC, iPhone on Jumia. You can't go wrong when you buy a bold, colourful Lumia series Nokia phone or any of the incredibly affordable Nokia smartphones. There are 3G, 3.75G and 4G phone options to choose from; 8G, 16GB, and 32G models to buy from with the best prices. There are premium phones, mid-range ones and also low budget phones that are available on the ever-evolving mobile phone market in Africa. You may not be a lover of the latest phones with new features and improvements, all you may want from a phone is the capability to receive and place calls, send and receive text messages. No matter the type you want, we have them in large stock only on Jumia. Shopping for quality and affordable smartphones online in the ever-changing world of phones is not as easy as glancing through them online. If you visit a mobile phone store around Accra, you may have to stop by one show glass or the other and may end up taking the whole day after you have gone through a hundred phones. But if you shop for your mobile phones online, you can quickly check the features from the product description written against each smartphone. On Jumia Ghana, picking from a full range of brands offering an assembly of features you can actually be fortunate to get inexpensive smartphones online on our site. You can browse through our easy to navigate web page for a wide collection of Smartphones, Regular Mobile phones and a horde of other low-budget and low-priced smartphones online. What's more, you can find the specific one you are looking for with our filter search box. From Smartphones with scratch resistant and sleek build to ones that have high megapixels and to ones that run on the latest processor for speed and high performance you will find them all here. Many Android phone users these days' desire mobile phones that have a long-lasting battery. Yes, we have them in stock including the fast selling ones. You will be spoilt for choice when buying mobiles phones on Jumia since our culture of excellence has not been amended, you can be sure of nothing but quality here when you take some time out to buy low-cost smartphones online in our stores. Find LG Phones, Sony Xperia, Nokia Lumia and more now on Jumia. Shop now for your mobile phones online and get the best prices only on Jumia.